Manager pleased with versatility of his players. Watch the best of the action from Saints' trip to the Etihad Stadium. Watch the 90-second highlights of Saints trip to the Etihad Stadium. The pick of the action shots from Manchester. Manager pleased with players after battling display. Mauricio Pellegrino reacts to last-gasp Man City defeat. Romeu: "We did almost everything"
The midfielder reflects on Saints' heartbreak at the Etihad. Oriol Romeu proud despite Saints' late heartbreak at the Etihad. Disciplined display comes up agonisingly short against Premier League leaders. Pre-match quiz: Saints, City, both or neither? Test your knowledge with our quiz ahead of Saints meeting with Manchester City. Everything you need to know about Wednesday's away day. 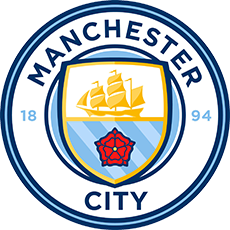 Get the lowdown on Manchester City from MEN correspondent Stuart Brennan. Watch the manager speak with the media ahead of Man City. Secure a seat for the trip to Etihad Stadium. Find out how junior fans can become an away mascot. Get all the on-sale dates and prices. City win it with the last kick of the game as Raheem Sterling curls an unstoppable shot into the top corner. An injury for Cédric means Sam McQueen will slot in at full-back for the final five minutes. Come on, Sam! A sterling shift from Shane Long at the Etihad. Charlie Austin - Sunday's matchwinner - is on to take his place. Backs against the wall for Saints for now as Pep Guardiola sends on Bernardo Silva for Iklay Gundogan. It's a superb Saints equaliser! Sofiane Boufal produces a magical first touch and cross and ORIOL ROMEU is there to fire high into the net. GET IN! David Silva takes the place of Gabriel Jesus. Half chance for Saints to get back in the game as van Dijk heads Redmond's left-wing corner over the bar. Tricky one for Virgil who would have hit the target had he been running onto the ball. Long gets his name taken for a late challenge on Otamendi. First change of the night and it's a positive one: here comes Sofiane for Pierre. Fraser Forster, making his 100th appearance for the club tonight, keeps Saints in the game. The big man flies out to deny Sergio Aguero before punching De Bruyne's long-range shot away from danger. Nothing to be done about the game's opening goal which was very tough on the visitors given the way they went about their business in the first half. Kevin De Bruyne's near-post free-kick is sliced into the net by what looks like the boot of Virgil van Dijk, under pressure from City's Nicolas Otamendi. Plenty to build on here, Saints! Check out the best action shots from the Etihad where Saints are more than holding their own against the Premier League leaders. Really impressive stuff from the men in red and white so far. The boys are defending superbly and threatening on the break and from set pieces. A few murmurs of unrest from the home crowd show what a good job we've done. Kompany goes into the book for a cynical foul on Shane Long near the halfway line. Saints break forward through Redmond. The winger is joined by Lemina who scrambles through the City defence and sees his low shot fumbled clear by Ederson. Plenty of positives for Mauricio Pellegrino's men so far who have kept City at bay with confidence in the first half an hour. Saints turn the ball over in midfield as City press high up the pitch. The ball breaks to Fernandinho whose side-footed shot is palmed away by Fraser Forster. Oriol Romeu is joined in midfield tonight by Pierre-Emile Højbjerg and Mario Lemina with Ryan Bertrand and Cédric Soares either side of them. Plenty of City ball early on here, but Saints are looking solid. We're under way at the Etihad! The warm-ups are over and the players are exchanging handshakes ahead of kick-off. they are a really strong team and it's a chance to show how far we've come. it's never good to go into a game with fear - we have to do our best and play as a team. Our cameras were in position to see the squad arrive at the stadium for tonight's game. The Saints squad are getting ready for kick-off here at the Etihad. Our club photographer was on hand to capture them checking out tonight's surroundings. Mario Lemina makes his first start in five and a half weeks as one of five changes for Mauricio Pellegrino. Maya Yoshida, Oriol Romeu, Nathan Redmond and Shane Long also return. Kick-off is at 8pm BST. Starting XI: Ederson, Walker, Kompany, Otamendi, Delph, De Bruyne, Fernandinho, Gundogan, Sterling, Aguero, Jesus. Subs: Bravo, Mangala, Danilo, B. Silva, D. Silva, Zinchenko, Diaz. Starting XI: Forster, Yoshida, van Dijk, Hoedt, Cédric, Lemina, Romeu, Højbjerg, Bertrand, Redmond, Long. Subs: McCarthy, McQueen, Davis, Tadić, Boufal, Gabbiadini, Austin. 15 minutes until team news! Who would you like to see on the teamsheet? We'll bring you the two line-ups at 7pm BST. i want us to be in the game until the end. we want to get the ball on the floor and move them, because they are not used to having to run behind the ball. we know we might have to defend more than normal, but that's part of the competition - we have to adapt to different situations. We caught up with Saints boss Mauricio Pellegrino to preview tonight's game against the Premier League leaders. Let's continue where we left off! Saints were in red-hot form at St Mary's on Sunday, hitting four past Everton to climb back into the top half of the Premier League. I am very pleased that tomorrow, I will see him after a long time. On the pitch, he had a lot of courage. He was an intelligent player. We had a great relationship and I have a lot of memories of him. Watch the highlights from the manager's pre-match press conference.